ISRC codes are only necessary for the final version of the recording – if the recording is purely for personal use, a rough mix or a rehearsal recording then you won’t need an ISRC code at that stage. 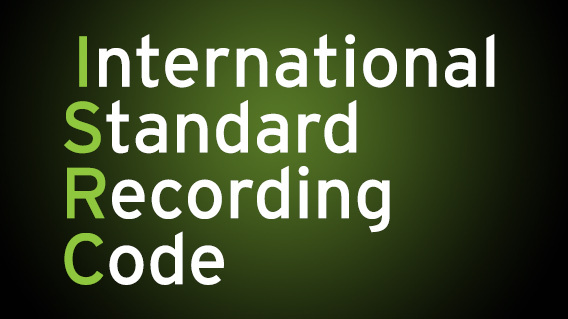 ISRC which stands for International Standard Recording Codes is an international system which allocates a unique code which is encoded into any music recording – unique ISRCs identify any music recordings for payment. · Country Code: 2 letters which represent the country in which the registrant is based, for example, UK for United Kingdom. · Registrant Code: 2 alpha-numerical digits, which, when used with the Country Code is unique to the registrant. 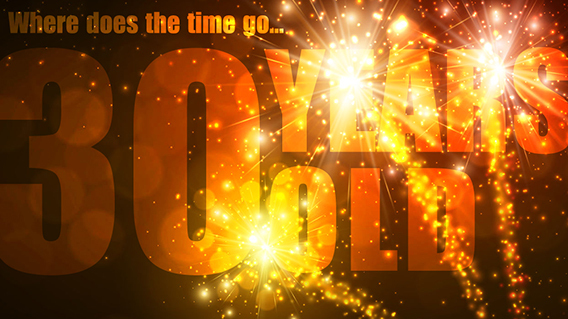 · Year of Reference: the last 2 digits of the year in which an ISRC code is allocated. · Designation Code: 5 digits which are unique to each track. 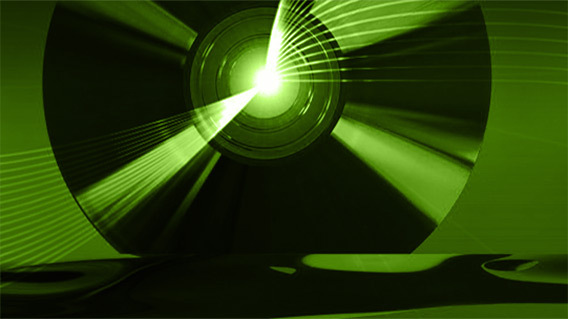 ISRCs for CDs – the ISRCs are encoded during the disc mastering process. ISRCs must be encoded for each track in the pre-master stage. Remember, ISRCs are important as they enable payments to be made for any music recordings or music videos. The ISRC code for any music recording/music video stays the same no matter how many albums the track is on. A new ISRC is only required if there are any changes to the original recording for example, the track is re-mixed or the track length is change. ISRC codes and Bar Codes are different – ISRC codes identifies individual tracks and the Bar Code or Universal Product Code (UPC) identifies the complete album. We can supply both ISRCs and Bar codes so give us a call if you need these. In the recording process, audio mastering is the stage after mixing. The purpose of mastering is to improve the audio quality of your music and to ensure that it will sound its best whatever it is played on – a state of the art sound system, portable radio, iPod, in-car stereo or your computer. Put simply, it will make your recording sound better. To achieve this, the tracks are processed using a series of audio enhancement tools and effects including tonal adjustments, limiting, compression / expansion, equalisation, noise reduction, harmonic excitement and signal restoration. The relative volume between tracks is levelled out and any extraneous noises (pops, clicks and bumps) are removed. The tracks are put into the correct sequence, with fade-ins, fade-outs or cross-fades applied and the spacings between tracks set. Additional information such as CD text (with the artist name, album and track titles), ISRCs (International Standard Recording Codes) and the product barcode can be added. A production master is created – it’s important that you always listen to and approve the final master. The mastering engineer should also supply a PQ sheet, which is used as a reference by the pre-mastering engineer when preparing the glass master. Production masters can be supplied electronically as DDP filesets or physically as PQ encoded (Red Book) Audio discs. DDP FILESETS – DDP is short for Disc Description Protocol – producing audio masters as DDP filesets is now widely recognised as standard practice across the industry. When producing a DDP it’s important that an MD5 checksum is created for each file – an MD5 checksum is like an electronic fingerprint. Once the DDP has been downloaded at the pressing plant a further set of MD5 checksums is created and compared to the original sums. If both sets match, then the receiver can be certain that what has been downloaded is exactly what was uploaded, that there has been no corruption in transmission and the files can safely be used for production of the CDs. It’s also important that all files (including the MD5 checksums list) are compressed and saved into a single zipped folder which should be named with the Product Catalogue Number and / or the Artist Name and Project Title. RED BOOK AUDIO DISCS – Ask your engineer to include a PQ sheet or, at the very least, a track list with titles and timings. If you are sending red book audio discs always keep a back up copy – do NOT send us your only copy. 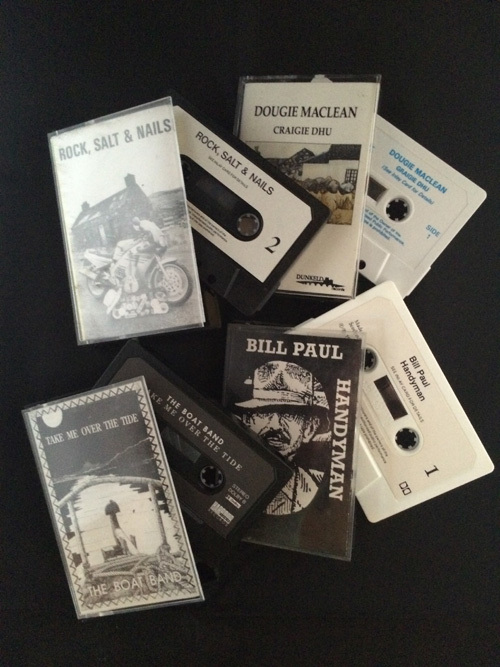 Masters for Duplication – for short run duplication (under 500 CDs), we can also accept WAVs. Please note, we do not accept WAVs for CD replication (500 CDs upwards). – The difference between compact disc (CD) replication and duplication is that replication is a professional process that creates a CD by moulding the disc to be an exact copy of the original master. Data cannot be added or changed. Duplication refers to burning data to a disc – the master is copied directly onto recordable discs, as is done in home computing. Short-run duplication is ideal for small runs but if you are intending to sell CDs or use them for promotional purposes we would suggest that you go for CD Replication which is the industry standard. With replication (pressing) the digital data from your master is processed to create a glass master. Glass mastering is undertaken in an exceptionally clean environment as even very small dust or dirt particles can affect the finished quality of a CD glass master. A metal stamper is made from the glass master and this is then used to press the finished copies. Each disc, which is a clone of the master, is then lacquer coated for protection. The discs are printed using screen or litho print methods, depending on the nature of the design – screen printing is generally more suitable for designs with solid blocks of colour, while litho printing achieves superb results for full colour picture discs. For replication orders, the packaging is always produced using offset litho printing, the professional standard. A wide range of CD packaging can seem confusing – so much choice! We thought it would be useful to briefly explain the different types of packaging. Please have a quick look at the information below or visit CD Packaging & Quote to view the wide range of CD packaging options. Jewel Case – A jewel case is, for many, considered to be a standard CD package. It has a hard clear plastic body with a plastic tray card to hold the CD. Jewel cases can hold a single insert printed both sides or booklets that can range from anything from 4 to 32 pages. The inlay, which sits in the rear of the case (underneath the plastic tray) can be printed on one side, or both sides if you would like a design / image to show through a clear tray. The outer side of the inlay (which is the back of the jewel case) usually includes details of the track titles and timings, the barcode and copyright details. Digipak – A digipak is mainly a card package, although it does incorporate a plastic CD tray. The most common digipak has 4 panels with the CD tray attached to the inside right panel. Most of our clients prefer a clear tray as this then allows for the use of an image / design underneath the tray. Booklets (usually from 4 – 32 pages, although larger booklets are possible) can be included and can sit either in a sleeve or in a slot in the inside left page. Standard digipaks can be supplied with 4, 6 or 8 panels, making it possible to hold up 4 CDs plus booklets. Digfiles and digisleeves are environmentally-friendly plastic-free packaging options. Digifiles – The most common digifile we are asked to supply has 4 panels with a slit on the inside right panel for the CD to slot into leaving half of the disc visible. If you have a lot of information to include and require a separate booklet, the inside left page can be made to include a slit to house a booklet (4 -32 pages or more if needed), or a second disc slit for double-disc packages. Most digifiles have 4, 6 or 8 panels, can be supplied with or without booklets, and can hold anything from 1 to 4 discs. Digisleeves – A digisleeve is a bit like a scaled-down version of a double vinyl sleeve where the CD slots into a sleeve, usually from the outer edge* of the right hand side – we consider this to be our standard digisleeve. A 4 panel digisleeve can include a second sleeve on the left hand panel where a booklet (usually 4 – 32 pages), or a second disc, can slot in from the outer edge* on the left hand side. Like digipaks and digifiles, digisleeves can be produced as a 4, 6 or 8 panel version, with or without booklets, and can hold up to 4 discs. *there is also a version of the digisleeve where the sleeve openings are at either side of the inner spine rather than at the outer edges. much information and images you would like to include. With the digipak and digifile, one of the panels needs to be used for either the plastic tray (digipak) or a slit (digifile) to hold a CD. We find that the digisleeve is increasingly popular because it allows for information /images to be printed on all 4, 6 or 8 panels. A very basic, but extremely popular, packaging option is the Card Wallet, a single wallet printed front and back with an opening either at the side or the top where a disc can slip in and out. These are often used for EPs, demos and for CDs distributed along with newspapers or magazines. 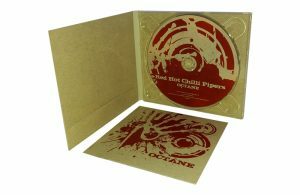 Have a look at our CD packaging page to view a small sample of the available options. Please give us a call (01350 727158) to discuss anything, we’re always happy to help. Record Store Day was started in 2007 when over 700 independent stores in the USA came together to celebrate their own unique culture. The independent music sector in the UK followed the USA trend and this year will be the ninth year of events. 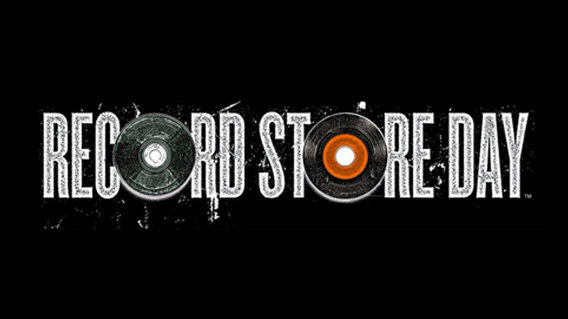 Record Stores across the country organise events including performances, meet and greet with artists, DJ’s and many other one of unique events. Record Store Day is recognised as contributing to the Vinyl revival. Many thought that Vinyl (and CD) sales would be affected by the increasing move to digital but what we are finding is that digital music in many cases supports and encourages Vinyl (and CD) sales. People are listening to music online and choosing to purchase a physical copy, Vinyl is seen by many as a collectable art….so, the vinyl revival continues. According to the 2015 BPI Music Marketing Report, 2.1 million LPs were purchased in 2015, representing a 64% increase on previous years and a 21 year high. BIRNAM CD TURNS 30 YEARS OLD! In the spare room of a farm cottage near Galashiels in the Scottish Borders, “Birnam Tapes” made a very humble start in 1986, armed with a reel-to-reel tape recorder + ten cassette decks. 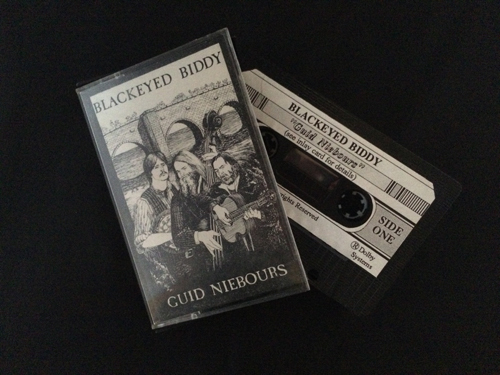 Our first job was to produce 250 cassette albums for the Scottish folk trio “Blackeyed Biddy”. The independent music scene has grown substantially since then and we’ve grown with it. After a couple of name changes (Birnam Cassette Duplication, Birnam CD), we are now “Birnam CD Limited” and, to kick-start 2016, we have already made and delivered a total of 16,000 CDs just for clients launching new albums at January’s Celtic Connections Festival in Glasgow. And we have a great list of top-notch projects lined up for the months to come. So, as we look forward to what is a special year for us, we would like to thank all of our clients, both past and present, for having entrusted us with their creativity, both musical and visual. We’ll be looking back as well as forward in the coming year and, from time to time, posting some images from our early days right up to the present. Matt Groening created The Simpsons. Martin was invited to contribute a guest article for the Traditional Music Forum blog. In the article he discussed what we at Birnam have found over recent years – that many musicians are choosing to release music themselves. With so many artists opting to release music independently, we wanted to share the article here to highlight that Birnam are ready to help them (you) every step of the way. Birnam CD offers a comprehensive support service for musicians from CD pressing to digital delivery to PR and design. Managing Director Martin Hadden tells us more. I found the title of an article in last month’s newsletter depressingly downbeat – ‘Ian Green and the Legacy of the Folk Label’. For me, the word ‘legacy’ suggests something which belongs in the past or, at the very least, something with not much of a future ahead of it. Ian describes the impact on Greentrax Recordings of the recent downturn in CD sales in straightforward, honest terms. I would expect no less from a man whose reputation for honesty and integrity is second to none in the Scottish music scene. However, though I could certainly empathise with many of Ian’s comments, I also found some of his observations to be at odds with our own current experiences here at Birnam CD. You see, as the record labels have been forced to cut back on the number of albums they release, an increasing number of artists have turned to releasing their albums independently. The vast majority of the artists we work for do this. It’s an ill wind that blows nobody any good. Whether they have previously been with a label or not, most are taking on the task for the first time and it is a steep learning curve. There’s an awful lot to be done once the recording is finished – designing the packaging, getting the albums pressed, registering the tracks to ensure payment is received for any airplay, securing the airplay in the first place, getting reviews, making sure that the albums are easy for folks to find and buy both physically and digitally. The list is extensive and consists of all the things that any record label worth its salt would do for an artist to support a new album release. In response to this, we have added to the range of what we can do for artists beyond designing, pressing and delivering the finished CDs. We’ve been doing that for a couple of decades now, but for the past few years we have also been offering media promotion, downloads and streaming, online sales via Amazon etc., physical distribution and any sort of promotional materials we are asked to produce. The difference between us and a record company is that we ask for no rights to the recordings or to the music itself. All of those rights remain the property of the artists. And as more folks have turned to us to help to make their music more widely available, our buying power with the CD pressing plants has increased. This, in turn, has allowed us to buck recent trends and significantly lower our prices for pressing CDs – which attracts more artists to come to us to get their albums pressed and to take us up on the other services we offer. For us, it’s proving to be a productive treadmill. The ‘long list’ of nominations for the 2015 ‘Album of the Year’ award at this year’s Trad Music Awards has just been announced. We produced nine of the twenty albums listed, and eight of these are independently released by the artists themselves. Being signed to a label is clearly no longer the perceived necessity it once was in order for creative musicians to succeed and to be recognised for their work. I wonder if things are drifting back towards how they were a few decades ago. Getting a record deal is not so easy any more. Record labels, particularly the ‘specialist music’ labels, have to be a lot more careful these days about which albums they choose to release. The current habits of the music-buying public dictate that they can’t afford to take a chance on a new, upcoming artist as the investment required in doing so could take years to recoup – in fact, may never be recouped at all. It may be that artists will soon find themselves signing a record deal only when their music sales reach a point at which it becomes unmanageable for them to handle their recorded output on their own. Having reached that point, they are likely to find that they need the support of an established and experienced label to take on the administration and to handle the tasks required to keep on top of things. In that sense, the act of securing a record deal may soon regain some of its former prestige and value as artists won’t be offered a contract unless, or until, they have clearly established a profile significant enough to offer the realistic prospect of selling an awful lot of albums across a range of different formats. When I joined Silly Wizard in 1976, the band was already in the throes of disentangling itself from an existing record deal. In the following 12 years, until we split in 1988, we signed deals with 4 more labels in England and the USA. We were young, we were ill-advised and we made some poor decisions. People often contact me to ask how they can get hold of our earlier albums. Although I am now in the perfect position to make them available, there is little that I, or the rest of the band, can do about it as neither the albums, nor the music we created and committed to them, belong to us in any physical sense. We’re the Bay City Rollers of the folk scene. If we had known then what we know now…Or if Ian Green had founded Greentrax about 5 or 6 years earlier than he did, we would have signed with Ian in a second and would never have regretted doing so. Of that, I am certain. Wishful thinking aside, I think it is important that the current issues affecting the record labels should not be misinterpreted as necessarily being trouble for the music itself in the wider sense. People always have, and always will, make music – great music. The current Scottish music scene is in rude health. It’s bursting at the seams with some of the most skilful and innovative young performers and composers I have ever heard. In my opinion, having been involved in it for forty plus years now, the scene itself is more exciting, vibrant, inclusive and uplifting than ever before. And, however it is released, the music is being more widely heard than ever before. As with so many matters these days, being independent seems to be the sensible way forward. We are often approached by our clients with requests for information on the subject of copyright and / or publishing royalties. When releasing a single, EP or album, it is obviously important that you comply with the law surrounding these issues. Here are a few of the more common questions we are asked with a bit of (hopefully) helpful information in reply to each point. Please note that, to avoid repeating the options, we have assumed that the product being produced is a CD album. MCPS stands for the Mechanical Copyright Protection Society. The society represents the mechanical rights of its members (composers, songwriters, publishers). When one of its members’ works is recorded and reproduced as a physical product such as CD, vinyl, cassette etc., MCPS will collect the due royalties and pass these payments on to the member(s). The society administers a range of licences depending on the type of release. If you plan to release a CD album, for example, you must apply to MCPS for the appropriate licence. You first register with MCPS so that they can supply you with an account number and log-in details enabling you to access the online application form. The most common licence used is called an AP2. You will be asked to provide a number of details such as artist name, album title, quantity to be manufactured and, most importantly, a list of the track titles and, if known, the composers and publishers for each. Don’t worry if you don’t have all of the requested information – supply as much information as you can and the MCPS database will almost certainly fill in the blanks. You will also be asked to confirm the selling price for the album, as any royalties payable are based on a percentage of the selling price. This can be either the “Retail Price”, i.e. the price you intend to sell the album for direct at your performances or the “Dealer Price” – this is the unit price which a shop would pay to purchase copies. No, on the first pressing of any album, you are entitled to claim a “promotional” allowance of 25%, up to a maximum of 250 units. Royalties are not charged on these copies, but there are certain conditions attached to this, most notably that the promotional copies must be clearly marked as such and that they must not be offered for sale. If all the material on the planned release is original, and has not been published, then MCPS will have no claim in respect of royalty payments. However, you must still submit a licence application to confirm that no royalties are due. If this is the case, then MCPS will issue a “Notification of No Claim”, confirming that you are not liable for any royalty payments. The same will apply if the recorded material is in the Public Domain (exempt from royalty payments as the composer has been dead for at least 70 years). Yes, you must provide a licence to cover every CD manufactured. MCPS will supply a “re-press licence application” form when the original licence is issued. This is a simpler form to be used when more discs are required. Please note, this doesn’t apply if you were issued with a “Notification of No Claim” for your first order of the album in question. So long as none of the circumstances have changed (none of the songs / tunes have been assigned to a publisher since the original pressing), then the “No Claim” will cover as many discs as you want to press. Esme’s Adventure Beats Charity Target, And Then Some! Esme Morris Macintyre sadly passed away in 2013 at the age of 18 after battling a brain tumour. A tribute CD, Esme’s Adventure, was created with contributions from many of Scotland’s top harp players, and a fundraising page was set up on the Just Giving website. The original goal of this fundraising campaign was £10,000, with all money being donated to the Teenage Cancer Trust. At the time of publishing this post, that fundraising page has amassed £22,855. A massive well done to everyone involved! She made a wish list of people to meet, things to do and for harp tunes to be written for her. The result is Esme’s Adventure, demonstrating the great diversity and talent that abounds in Scotland’s harp community today. It is a fitting tribute to a remarkable teenager and is being sold in aid of the Teenage Cancer Trust. The Just Giving page is still active and accepting donations. Please consider donating to this wonderful cause. Esme’s Adventure is available from our shop. All profits from the sales of this CD are being donated to the Teenage Cancer Trust.